In early 2004 I obtained the group photograph reproduced below. On the back is written "North Wales Wireless College Carnarvon. August 4, 1920". The college was founded in 1918 by Gordon Scott Whale, who was employed as Chief Operator with Marconi's Wireless Telegraph Company at their station near Carnarvon. When his employers found out about the college they saw it as a threat to their monopoly and Whale was given the choice of resigning or closing the college down. He chose to resign. The college remained at Carnarvon until either 1920 or 1921. According to Whale's obituary, it was the latter, but all other sources opt for 1920. 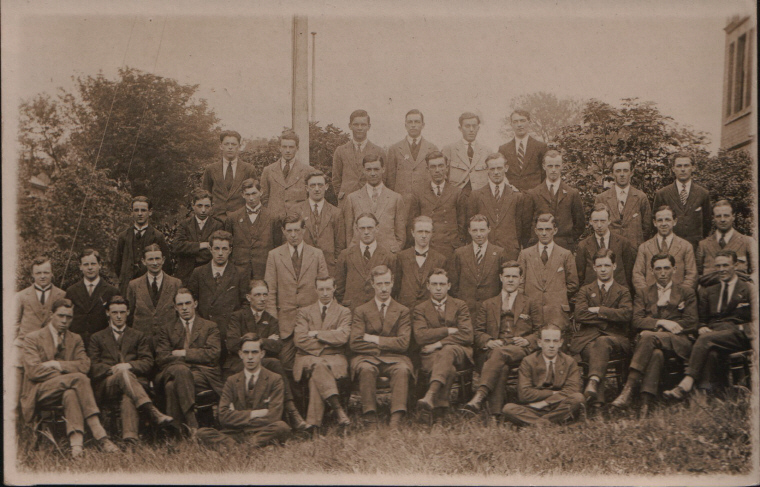 Although not conclusive proof, the date on the back of the photograph seems to support this, and could possibly have been the last class at the college? 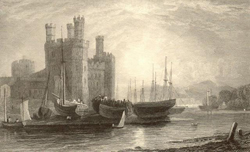 Whenever, the college was closed, and moved to Colwyn Bay, where it remained in operation until 1970. Now the question remains, where in Carnarvon was the college based? Was it even in the town? There was only one Trade Directory published during the college's operational period, and there is no listing in this. Similarly, there is no mention of it in any of the local newspapers, not even a brief report of its opening or closing, which would perhaps be expected. So there is some considerable doubt as to the exact site of the college. Perhaps there is someone reading this who has information which could help solve the puzzle. If so, please get in touch. Likewise, if anybody recognises anyone in the photograph, please let us know.